This was displayed on the Jumbotron before the Giants vs. Angels game Sunday. The San Francisco Giants honored the memory of a young fan, who was stabbed to death in his Discovery Bay home. 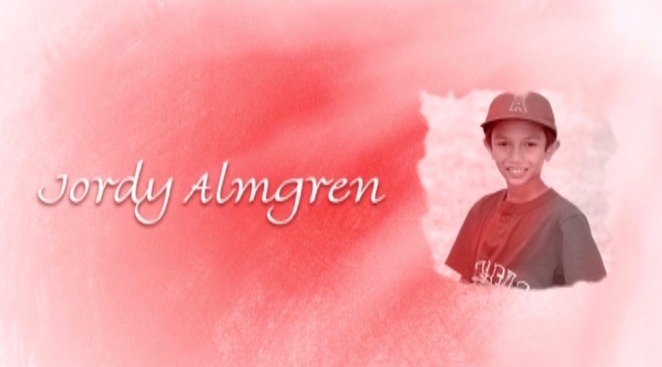 Jordon Almgren was killed last week at his Discovery Bay home. On Sunday, the Giants gave Jordon's parents a jersey during a private moment with team president, Larry Baer. His parents said he loved baseball and was an avid Giants fan. This all took place in a stadium box along with the 9-year-old's teammates. 18-year-old William Schultz is in police custody accused of killing Almgren.